Last week, we talked about the Greek term βαπτίζω, and referred to its definition as “dipping, immersing, or submerging for the purpose of washing or cleansing.” But there is another meaning of βαπτίζω that we didn’t talk about last week. βαπτίζω can mean at times, simply, “to overwhelm.” This is not hard to see when we think about the baptism of the Holy Spirit. 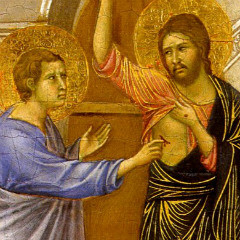 The disciples gathered at Pentecost were “overwhelmed” to the point where some spectators thought they were intoxicated. If you’ve ever had a large amount of water poured over your head and face unexpectedly, you know what an overwhelming sensation is. This is why pouring, or what is also called affusion, is a beautiful symbol and usage of water in baptism. Now before I continue, I want to take a step back and acknowledge something said last week about rebaptism. As I was posting the sermon manuscript and remembered the way I presented it, I think I might have been a little too harsh. Let me share with you that it’s not my intention in this series to talk about “rules” or to lay out an agenda saying “It’s this way or the highway.” Moreover, I’m not interested in shaming the institution nor individuals nor families for the ways that baptism may have been confused or misunderstood in the past. And I think the way I said it last week may have come out that way. So let me clear it up and speak from my heart and my experience, that I’ve been right here with you. I was re-baptized when I was 10 years old, having previously been baptized as an infant, though my parents and probably most of the folks in my home church called it a Christening, and viewed that more as a dedication service than a “real” baptism, which would be done whenever I made a profession of faith. This is played out in debates and discussions about “infant baptism” vs. “believer’s baptism.” But I have difficulty with these phrases because they’re grammatically using “infant” and “believer” as adjectives rather than a personal recipients of divine grace. 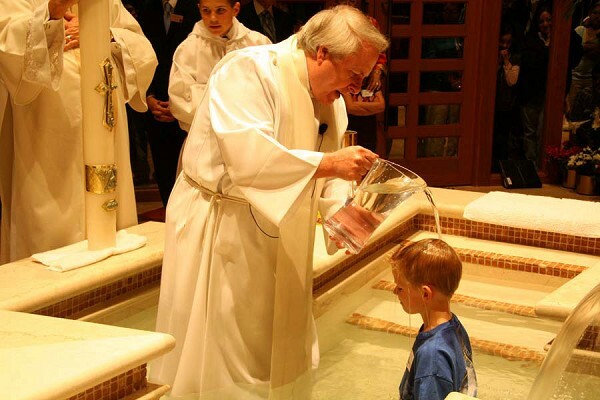 Baptism is baptism, whether it is given to an infant or to a youth or adult. And we do not insist that people have to do one or the other, nor do we insist that it has to be done in a particular mode. An infant baptism is no more or less valid than “believer’s” baptism. Immersion is no more valid than pouring or sprinkling. Really, we have more freedom in our church for parents and new Christians to follow their own conscience in these matters than most others. This is because we believe the emphasis is not in the obedience of the person or parents of the one baptized, but in the proclaimed identity of the baptized. That’s why the voice that says, “This is MY Son!” upon Jesus in baptism is more crucial than the fact that he got more or less wet than others perceive. When a person is baptized, we believe it is God saying over the infant or young person or adult “This is MY child!” That’s what I hope we can think of in terms of baptism being about identity rather than a feeling or experience that we think is necessary for someone to follow a certain way. When I was an infant the pastor applied water to my head and invoked the name of the Father, Son, and Holy Spirit in baptizing me; in that act I was proclaimed as God’s own child. 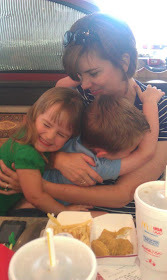 There’s more to that story, but in telling it in the context of thinking about pouring, since that’s the theme for this week, I am reminded of how I felt the water on the Sunday after I made my profession of faith at age 10. I got wet y’all! It wasn’t an immersion, but it was more than just a sprinkling. The pastor filled his hands with the water and dumped it on my head. I remember the feeling of water flowing over my head as if it had been poured from above. And how this fits with baptism is that pouring is an action of water coming from above, it is the sign and seal of the Holy Spirit like what we see at Pentecost. In baptism, we recognize the gift and promise of the Holy Spirit. In the sermon at Pentecost, Peter says that promise is for “you, your children, and for all who are far away – as many as the Lord our God invites.” Hence, again, baptism and its accompanying promise are not about an individual’s decision, but about the action, invitation and gift of God to bring salvation and offer it to all. In baptism, we acknowledge the work of the Holy Spirit in the person’s life, be it as an infant or at the time the person comes to believe in Christ as Lord and Savior. Baptism is that person being brought into this new identity as God’s child, a covenant community, being united with Christ. Baptism, then, is never a “private event,” because it involves commitments not only from the ones being baptized and/or their parents/sponsors, but also the entire community in covenant with one another, called the local church, who agrees to support the baptized with encouragement, prayers, and coming alongside them in the journey of discipleship. I hear it said all the time that babies shouldn’t be baptized because they don’t know what’s really going on. I think I understand that because I’ve thought that myself. But as I began to realize that baptism is about God’s gracious action prior to my response of faith, I asked myself, “Do we really ‘know’ what’s going on either? Do I really understand all of God’s grace?” Is it simply about the individual’s ability to “make a decision”? If so, then baptism would be about faith, rather than grace. But if baptism has to do with salvation, and I believe it does, then it is based not on me, but on God’s grace. Yes, I need to make the decision and own the faith, but that is my saying “Yes” to where God has already said, “Yes” to me. Baptism, in other words, is God’s “Yes” upon your life. And God said “Yes” to you long before you could even say “Yes” back, or even before you were able to utter the words, “Dada” or “Mama.” That’s why we say that baptizing an infant is as appropriate as baptizing a youth or adult. Because God has invited us all to receive grace. Thanks be to God. Pouring is a beautiful image because it is significant language in the other sacrament in which we are about to participate. This day is World Communion Sunday, which falls on the first Sunday of October every year. An emphasis is made on this day that despite whatever differences we have in doctrines, practices, and so on, from all across the world on this day, Christians of multiple denominations unite together to celebrate this holy meal. It’s kind of an image of what took place at Pentecost, which was a festival where people from all across the known world came to Jerusalem to celebrate the giving of the Law; people from various sectors, or denominations, of Judaism came for this purpose and on that one occasion, the Holy Spirit was poured out so that the message of the good news of Jesus Christ spread to all the places that were there represented. That’s what this meal is about. We will pray that the Holy Spirit is poured out upon us and these elements that in this meal we will be filled, or baptized, with the Holy Spirit to go out to share the love of Christ with our neighbors as well. 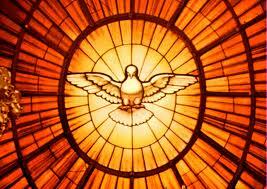 We are a Pentecost people.